"The Mill Creek community is abuzz! The Magpies are spreading the news that the Eager Beaver (Dave Clarke) has a Special Permit and is busy planning a Really Big Lodge. The Skunks are concerned about change in the neighbourhood, and the Ravens are worried the construction might block out the magical lights of the trail that connect them to Aurora, Queen of the Northern Lights (Theresa Dextrase). The People of the Wood (MJ & Ben Moses) offer teachings about balance in nature." Sounds innocuous enough, but man were the skunks and ravens het-up about the development plans of the beavers!" I suppose our human fears of development and nature preservation can't help but manifest in these characters dialog and personality - at times I felt like I was listening to an anti-development spiel from a whacked out zealot, until I realized it was an actor in costume (or was it?). Interspersed along the path where native lean-to's to use as rest areas. Native folks shared their wisdom of the woods as we huddled around blazing fires and drank cocoa. The event was wonderful, although I wonder if such a contentious topic (or delivery of topic) was intentional or accidental, if the latter it must permeate our minds. In the walk there was no conclusion to whether the beaver's development would harm the environment or not; for her part, the Aurora Queen seemed blessedly unconcerned. Talk about the proposed Gateway and Keystone pipelines, talk about developments in your neighborhood. Look for ways to create balance and how to move forward economically; the two needn't be divorced from each other. Turbo charge your portfolio. Upgraded 1959 built 2-plex with separate entrance to lower suite. 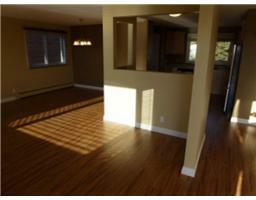 2 stylishly finished suites; 1192 sqft upper 3 bedroom unit with beautiful hardwood, plus a spacious 2 bedroom 850 sqft. suite down. The upper suite has newer windows, faux fireplace, fresh paint and original hardwood. There is a common laundry room in basement too. The lower unit has new paint, bathroom and toilet. Lower suite walks out to a shared fenced yard. 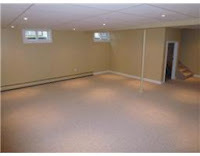 There is a 2 car detached garage with automatic door and opener, bringing in additional revenue. 20 minutes to U.O.A., 15 mins to NAIT, Grant MacEwan and Downtown. Fast access to Wayne Gretzky and on the bus routes. These pictures show the detail and care that went into building this quality home. Produces $267.75 positive cash flow per month using an investor's mortgage plan - taking advantage of current low rates. 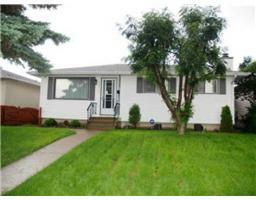 Purchase price: $335K Total Investment: $77,300K. Your Estimated 5 Year Profit $42,810.67 K. Your pre-tax Total ROI is 55% or 11% per year. Edmonton ranked ahead of every Canadian city except Toronto in a measure of economic momentum released Thursday by CIBC. "If you look at Edmonton, the labour market is doing much better, population is rising, investment is rising, the real estate market is doing fine," said Benjamin Tal, deputy chief economist with CIBC World Markets and author of the report. "Edmonton is still up there." Tal's report, the Canadian Metropolitan Activity Index, assigned Edmonton a score of 20 for the third quarter of 2011, almost double the overall average and 6.9 points above Calgary. Toronto, at 23, earned the highest score. An increasingly tight office-space market in Edmonton will spark the announcement of two major new buildings this year, according to John Ross, managing director with Avison Young's local office. "My view is that we'll see one or maybe two new office projects announced, probably toward the end of this year, because the demand is going to be there." Avison Young released their 2012 predictions for commercial real estate in Canada and the U.S. Wednesday. The forecast predicts office vacancy rates will generally shrink across the 12 Canadian markets Avison tracks. That includes a 1.4-per-cent decline in Edmonton and a two-per-cent de-cline in Calgary. More new businesses are set to open on Jasper Avenue over the next six months, including the first Edmonton outlet of a breakfast chain from British Columbia. De Dutch plans to open in the street level of the Cambridge Building at 100th Street and Jasper Avenue in June. Owner/operator Jeff Van Den Biggelar says the restaurant located there to be part of downtown revitalization. "Jasper Ave. has been a little bit forgotten about and we just want to try and bring some more attention back to it," he said.